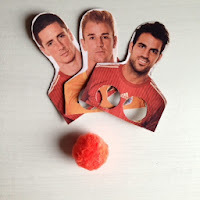 Trying to come up with another football activity for T, I kept coming across pins in pinterest for printable finger football characters, now not one to reinvent the wheel I thought I'd go with that idea but make my own version. I love taking an existing idea and making it my own and if that's really quick and easy then even better! Our version of finger football uses a pom-pom ball, the pitch used for our blow football activity and real footballers!!! 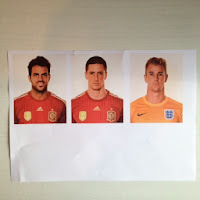 I wanted 'proper' footballers, so I headed over to the FIFA website and saved some photos from the squad page, I've created a PDF showing exactly where to go if you want to use them too! I imported the photos into word and sized them to approximately 3 inches x 4 inches then printed off in colour. 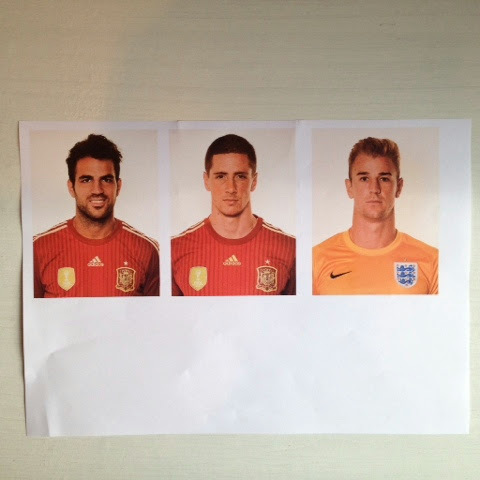 At this stage I better explain why I've chosen these footballers - well, Joe Hart is the England goalie and as I have Spain in my work sweepstake I chose the only 2 players I'd heard of, Cesc Fabregas and Fernando Torres. I stuck the photos onto cardboard, I used an old coke box and left overnight to dry. So, our version of the game is penalty shoot out!! One player is in goal while the others try to score! 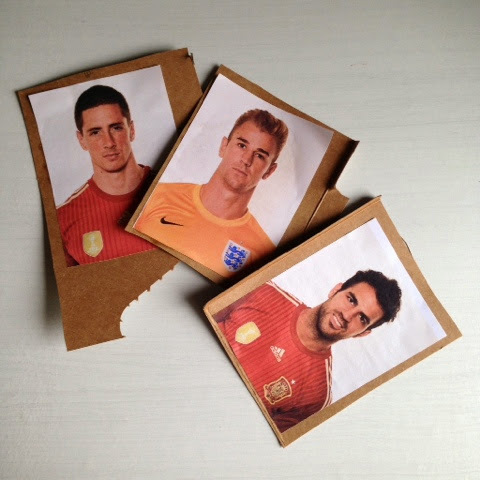 I'll make more footballers for when we have The Teens next and we can have even more fun!